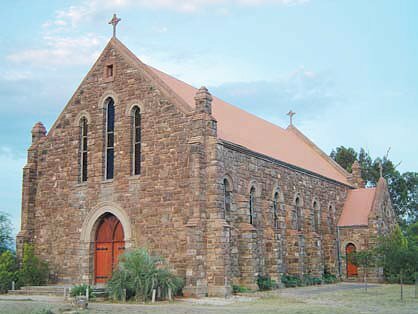 Tiger Kloof Educational Institution was founded in March 1904 “on a piece of bare veld” twelve kilometres south of Vryburg, where the Rev. WC Willoughby unpacked a borrowed wagon and started to build a school. After the discovery of diamonds and gold and the building of a railway between Victoria Falls and Kimberley, the London Missionary Society (LMS) decided to open a school that was more accessible to students than the Kuruman Mission where the first schoolroom north of the Orange River was built in 1829. In Setswana Tiger Kloof is known as Moeding – the place of running water. An oasis in the desert, the Institution would become known as a “school of presidents and carpenters”. From its inception the Institution committed itself to excellence in academic and technical training. With the appointment of the Rev. AJ Haile as principal in 1914, the Institution expanded to become a centre for elementary, higher and specialised education with a teachers’ training college, a bible school for the training of ministers, and an industrial school incorporating domestic science, spinning and weaving, masonry, carpentry, leatherwork and tailoring. 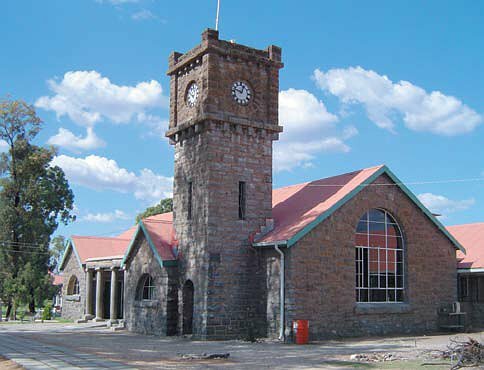 In addition to many craftspeople, teachers and ministers, Sir Seretse Khama and Sir Ketumile Masire, the first and second presidents of Botswana, were educated at the school. Almost the entire first cabinet of Botswana consisted of “Old Tigers”, and other alumni reached high office in several African countries. These include Ruth Mompati, a former South African ambassador to Switzerland and currently the Mayor of Vryburg. A year earlier, however, in fulfilment of its commitment to the Batswana chiefs, the LMS built a replacement school in Ootse, on the road to Gaborone. To symbolise continuity with Tiger Kloof, it was called Moeding. 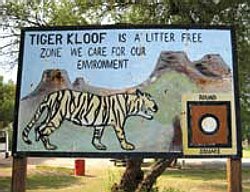 The remainder of the Tiger Kloof property was returned to the Institution through the land restitution process in September 2004. This heralded a new phase in the development of Tiger Kloof with the opening of a primary school. Today Peter Habberton is rector of the Institution. The restoration of buildings laid to waste by the apartheid regime continues. Plans for the introduction of an agricultural training centre are under way. The further development of the academic programme persists and a new vision is unfolding on the foundations first laid by those who dared to build, in the “bare veld”, a school that others later sought to destroy.